A USA Today bestseller! 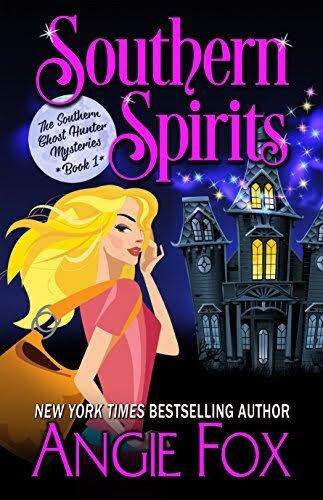 When out of work graphic designer Verity Long accidentally traps a ghost on her property, she's saddled with more than a supernatural sidekick-she gains the ability see spirits. It leads to an offer she can't refuse from the town's bad boy, the brother of her ex and the last man she should ever partner with. Ellis Wydell is in possession of a stunning historic property haunted by some of Sugarland Tennessee's finest former citizens. Only some of them are growing restless-and destructive. He hires Verity to put an end to the disturbances. But soon, Verity learns there's more to the mysterious estate than floating specters, secret passageways, and hidden rooms. There's a modern day mystery afoot, one that hinges on a decades-old murder. Verity isn't above questioning the living, or the dead. But can she discover the truth before the killer finds her?